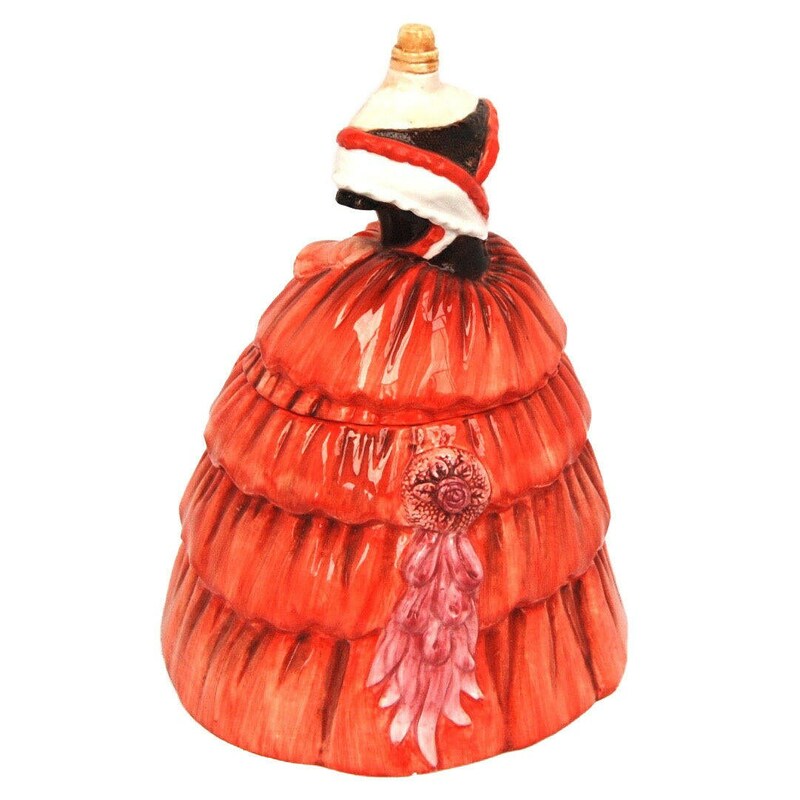 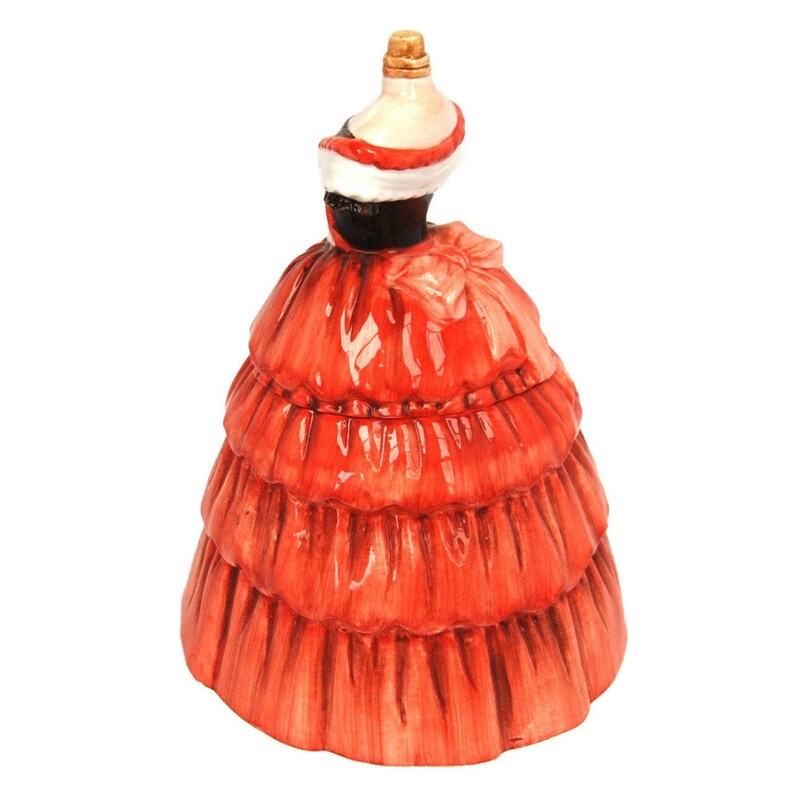 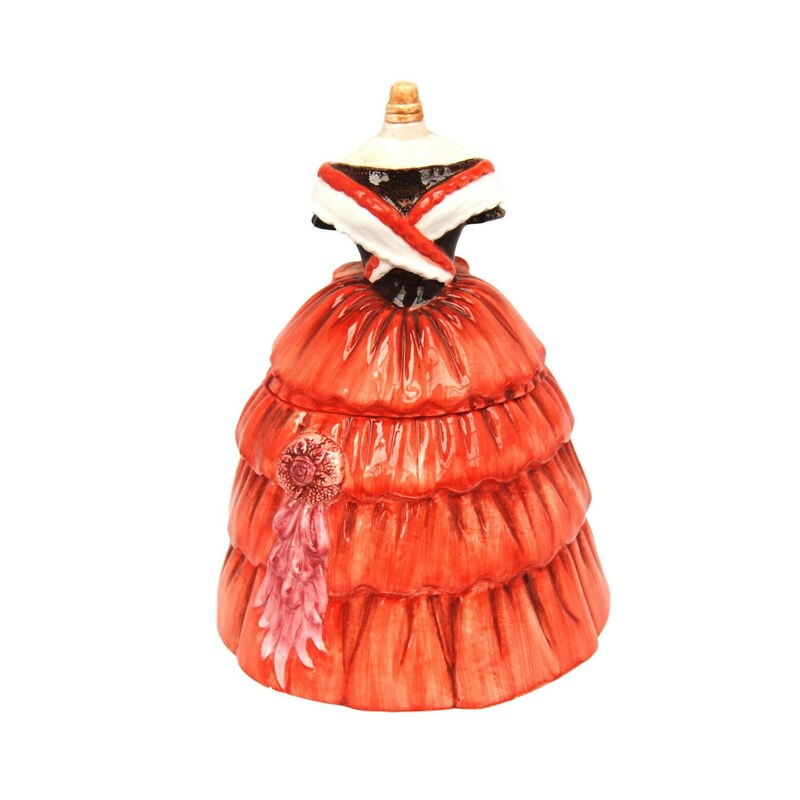 For your consideration is this lovely vintage dress form shaped cookie jar. 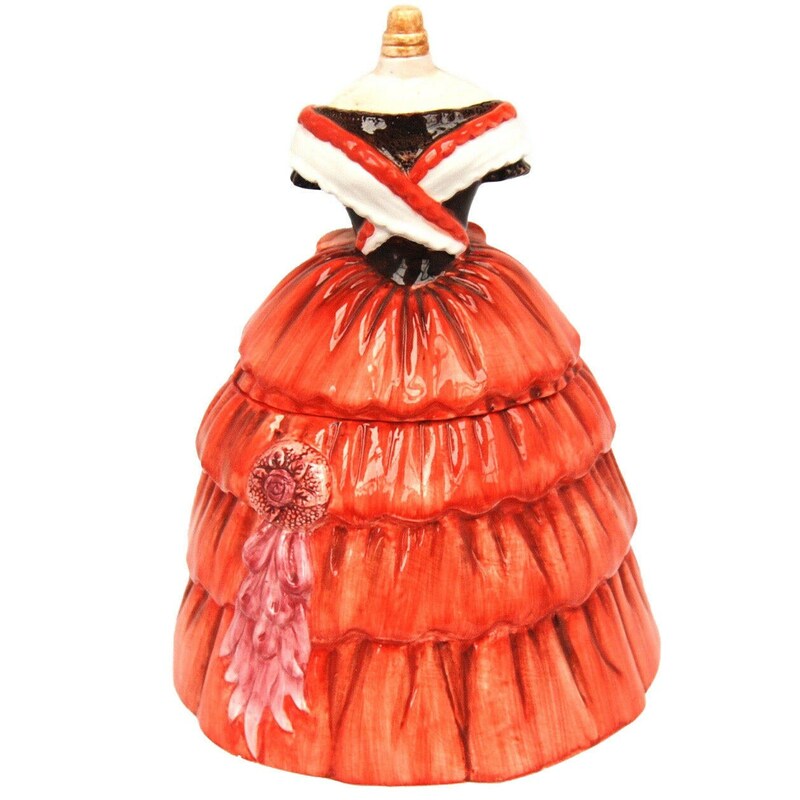 The design is a red Victorian styled dress. 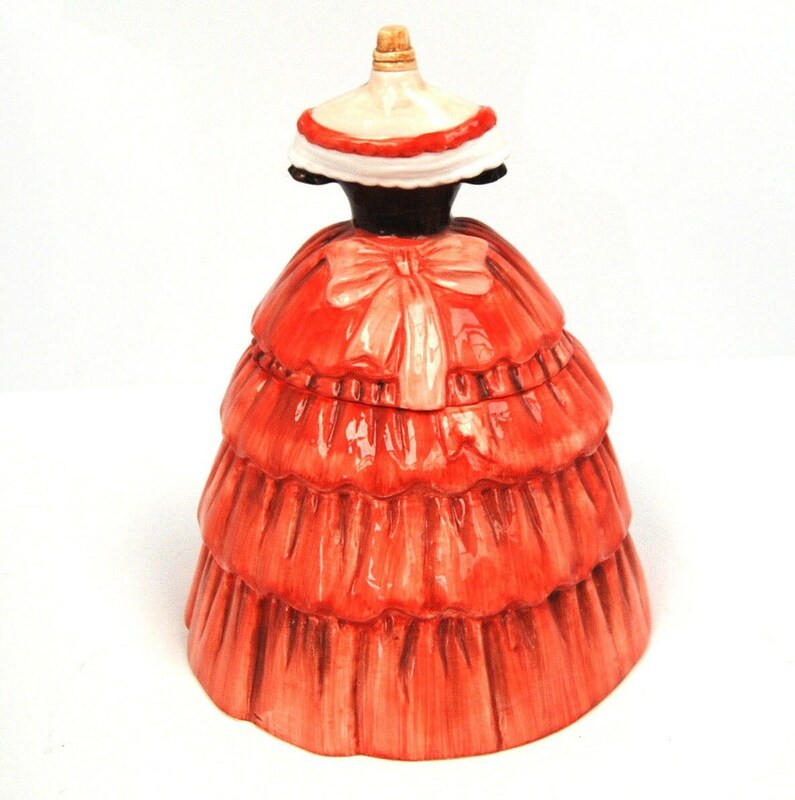 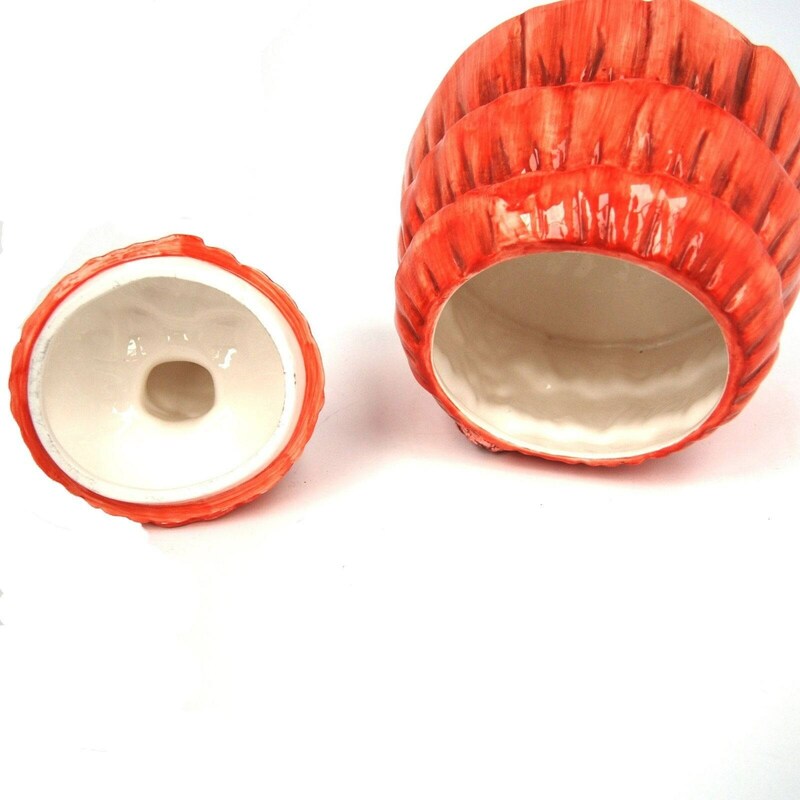 It is in mint condition and measures 10.75 inches tall, and the base is approximately 8.25 by 7.5 inches.